A cell is an object that represent a fragment of your UI. The scope of that fragment is up to you: it can embrace an entire page, a single comment container in a thread or just an avatar image link. I could just list adventages of cells, but you can find them in the “documentation”. I would like to show simple example of cells’ usage. I hope it will show you benefits of view components in rails app. The example is a simple app with CRUD actions for below database. Let’s start by creating the app with scaffolds. Add to gemfile: - gem "trailblazer-cells" - gem "cells-erb" - gem "cells-rails"
We will use code from these views in our cells. We will replace each template with cell. Completed project you can find on “GitHub”. Here I will just show two examples of cells: TableCell and IndexCell. Firstly, we need to create files structure. TableCell is built from one ruby file and four erb(html) files. Our cells’ directory should look like below. 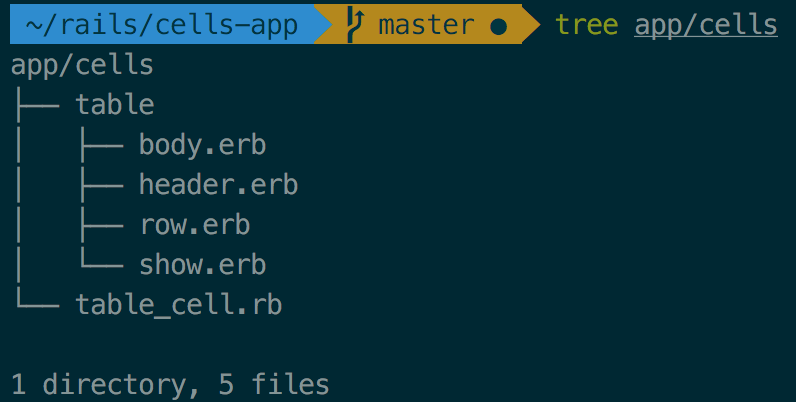 table_cell.rb is the core of our cell, it contains all helpful methods. The main view part of TableCell is show.erb, it will be rendered while we will use the cell. 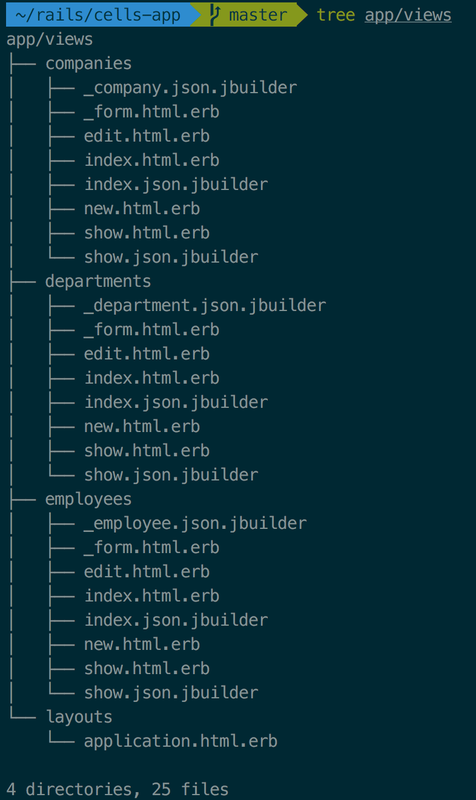 It contains table tag and renders header.erb and body.erb views. In header.erb we put thead tag and th tag for each attribute provided to cell. In body.erb we render table row for each item provided to cell. row.erb creates td tag for each attribute of the item. Let’s speed up. I’ve already created TitleCell and NoticeCell. We need them for IndexCell. IndexCell displays all of needed components on index page. Implementation of others cells you can see at the repository. So, we have all cells ready. Let’s use them. That’s all. The change at one file is propagated to all views. How cool is that? And that is the sense of cells. Of course, cells have more advantages, but I had only one goal in this article. I wanted to show you that with cells you can create flexible and reusable views at rails. I hope that now you can see it.